The pattern has to be wrong. I’ve looked at it several times and there’s just no way it will be long enough. No errata to be found. I even remembered to check if the measurements were inches or centimeters. It must be wrong. 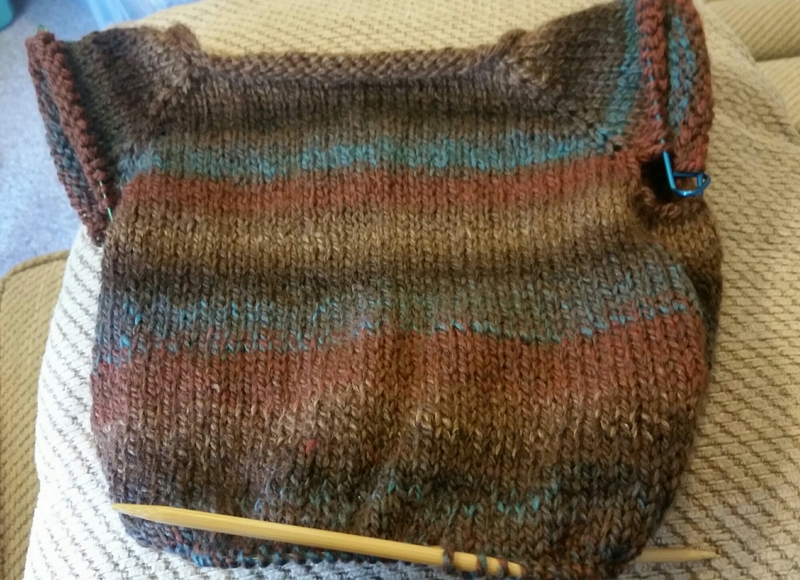 Stockinette for 22 inches. This is a baby sleeping bag for a baby due in about three weeks. A late summer baby. 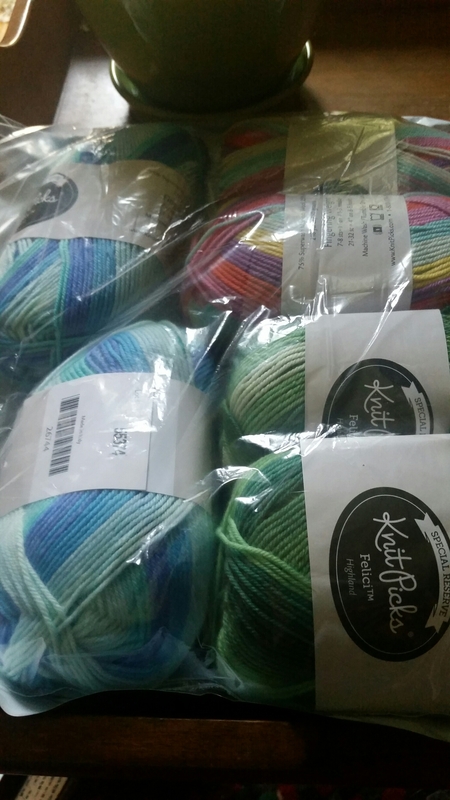 The yarn is heavy and the sleeping bag will be warm. He won’t fit into it for even two weeks! What is wrong with this designer? Lima Bean was 19 inches long. This is never going to work. 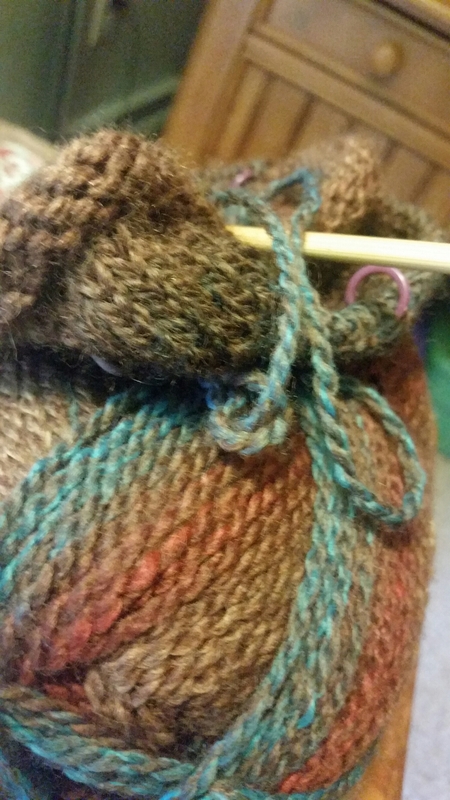 The past two or three knitting days were like that. Me worrying over this pattern and desperately trying to knit more and faster. News Flash: Babies have heads. Heads stick out of sleeping bags. 22 inches is plenty long. 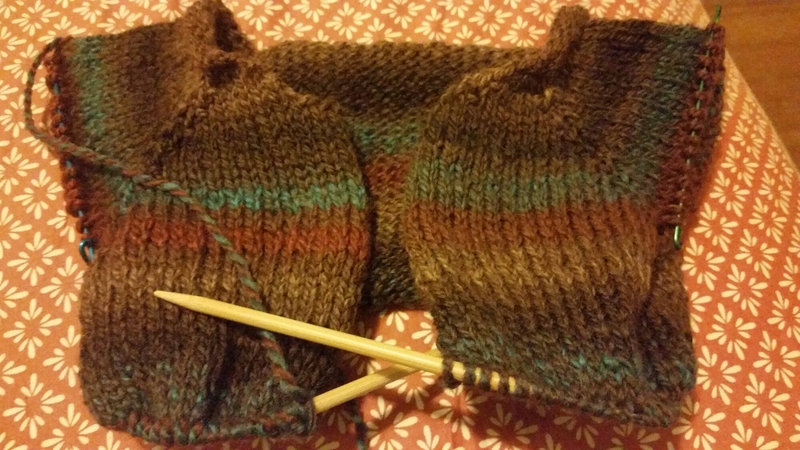 We now return to our regularly scheduled knitting.